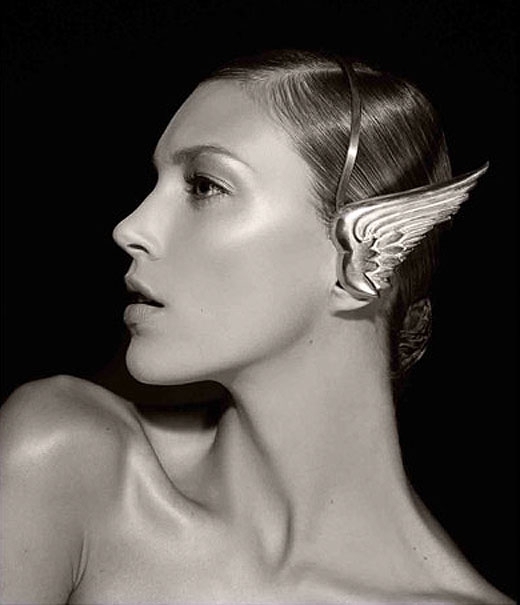 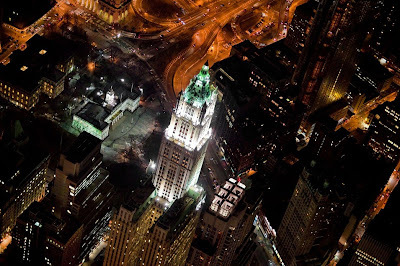 Evan Joseph is one of the premiere photographers of New York City architecture and interiors. 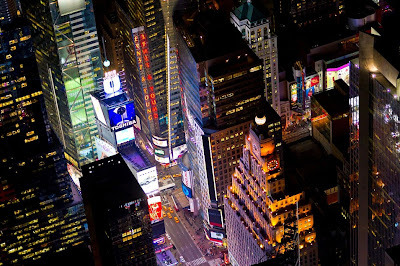 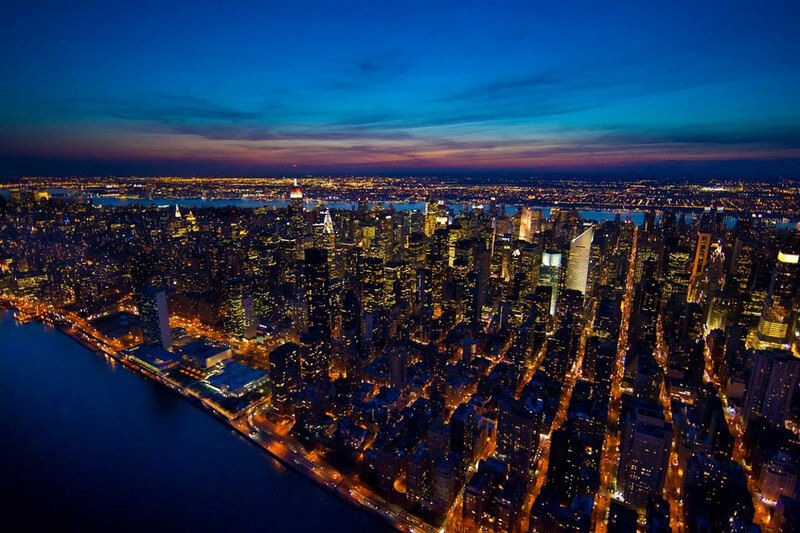 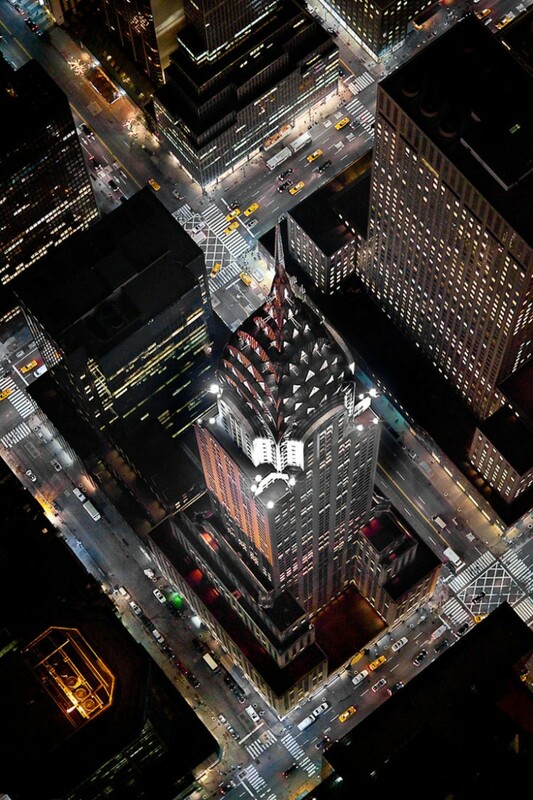 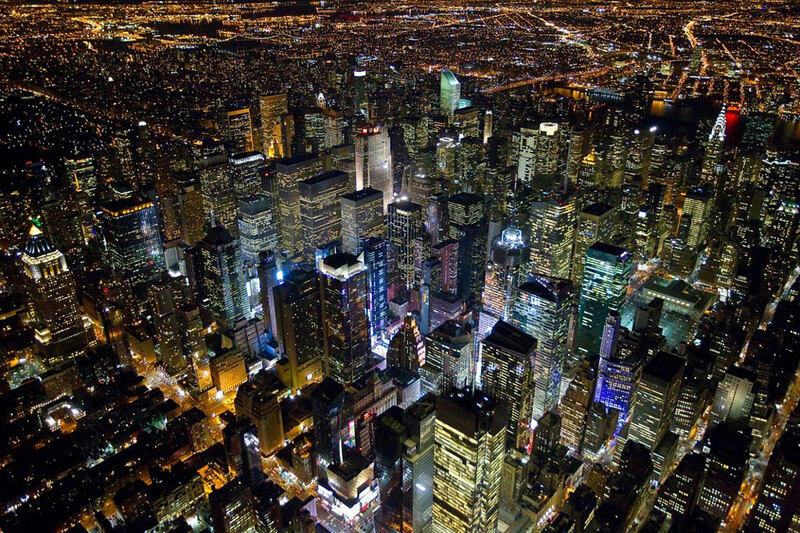 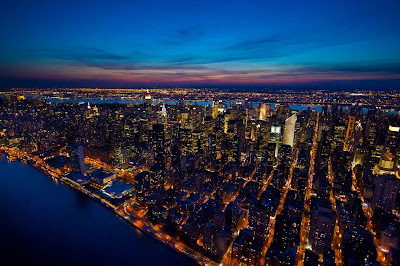 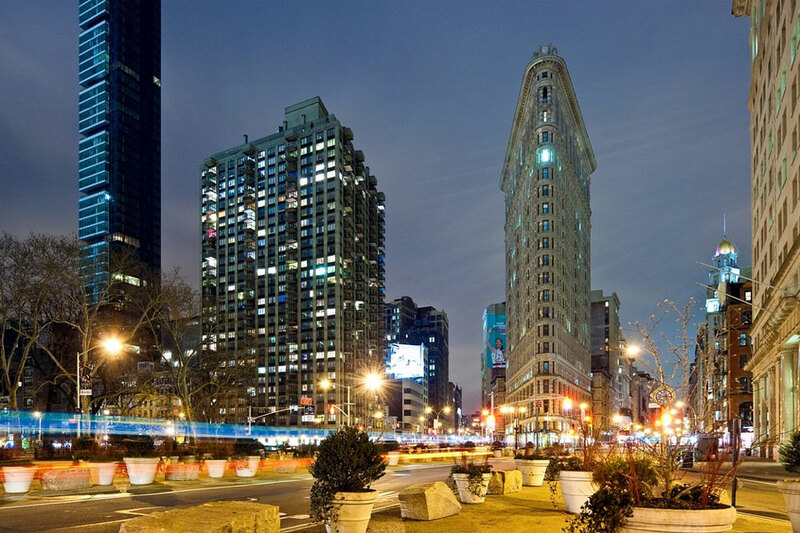 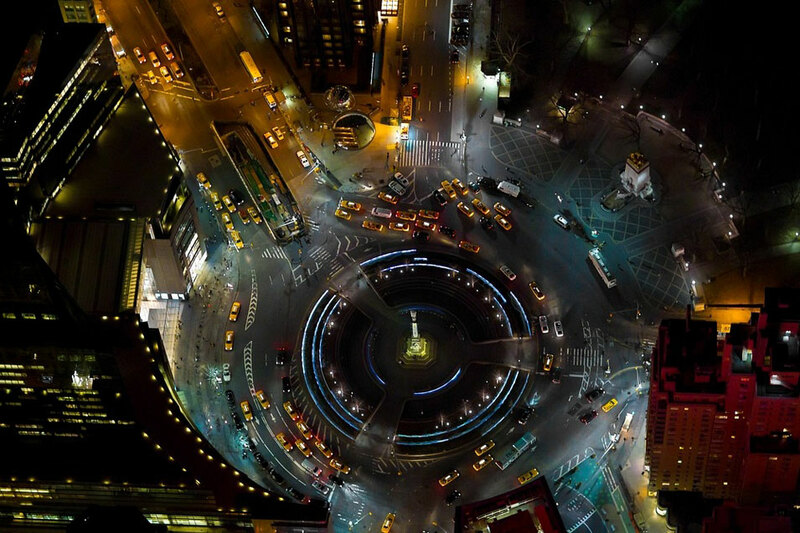 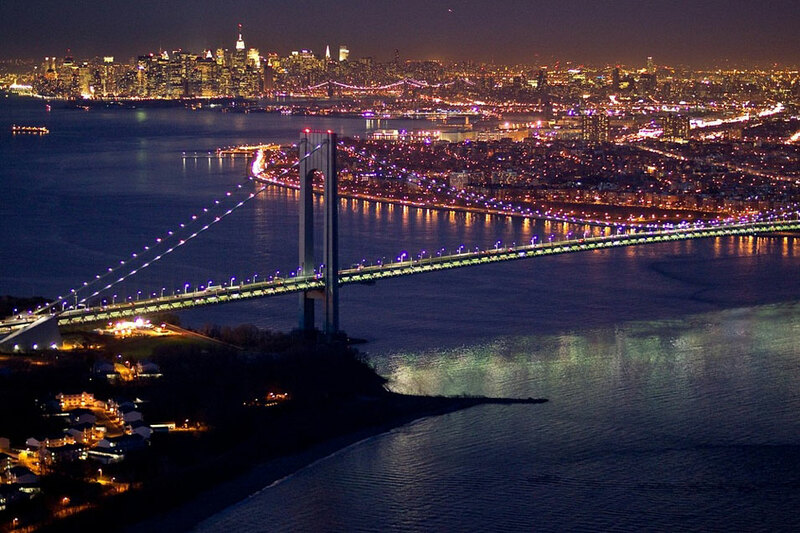 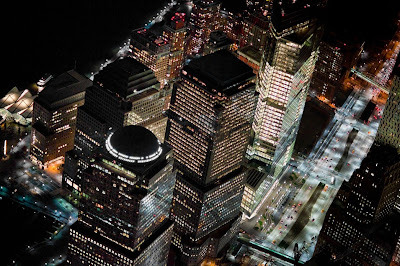 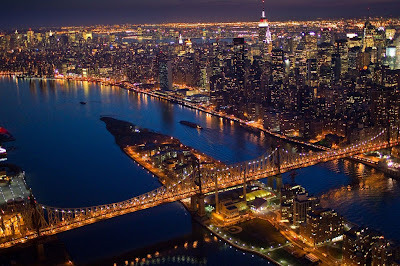 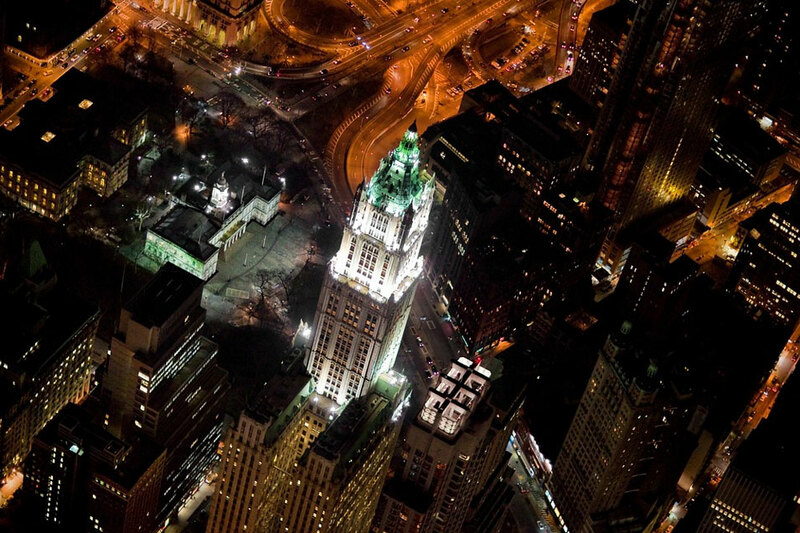 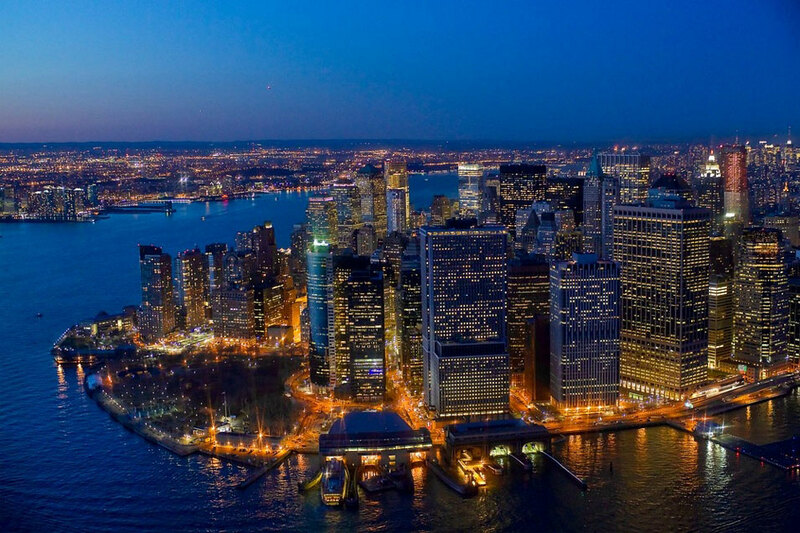 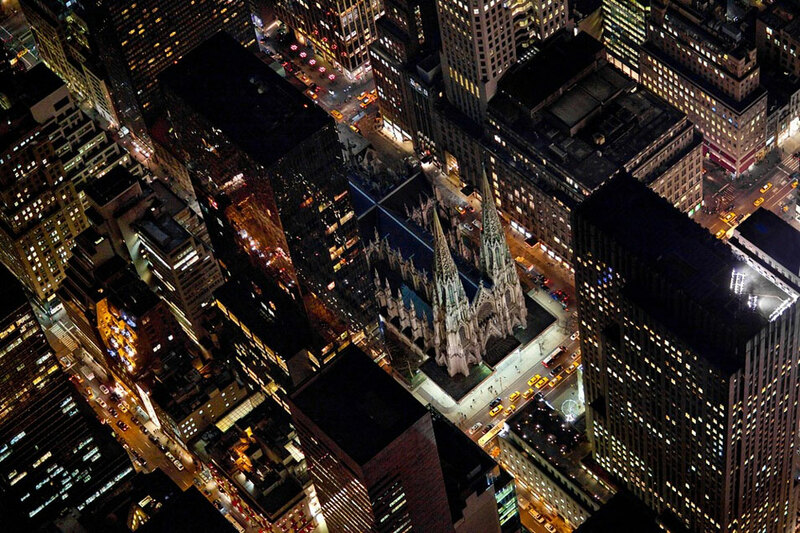 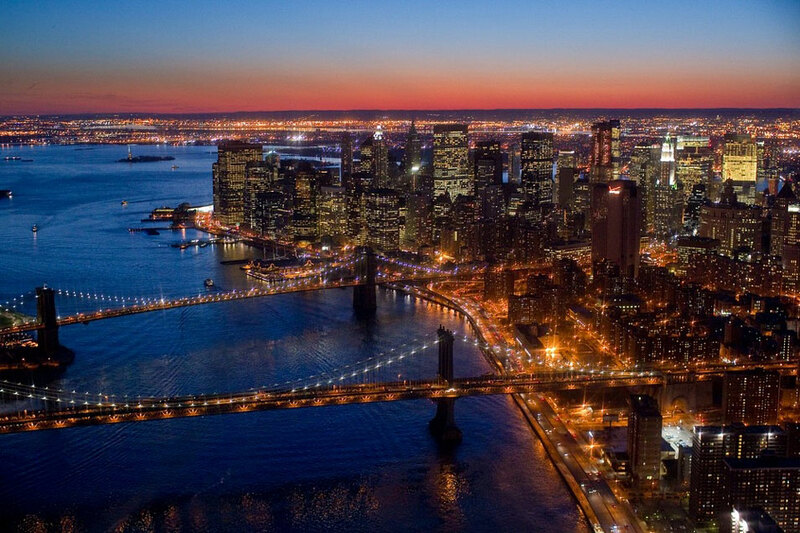 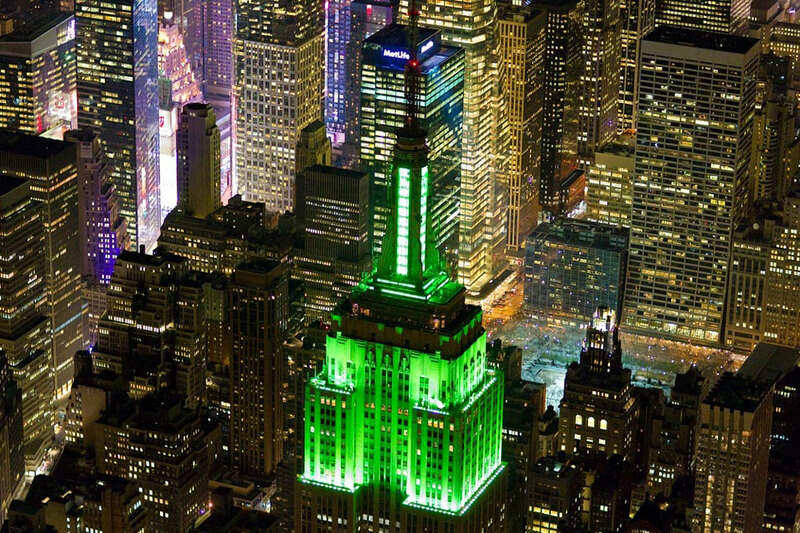 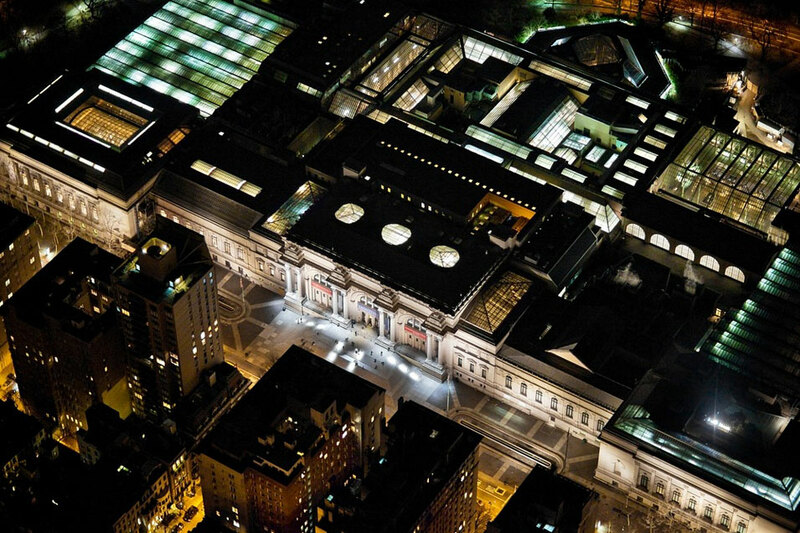 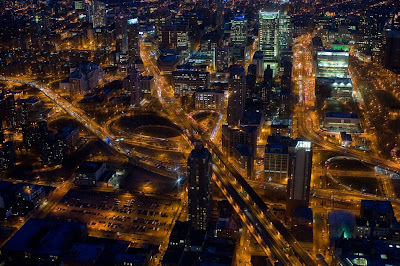 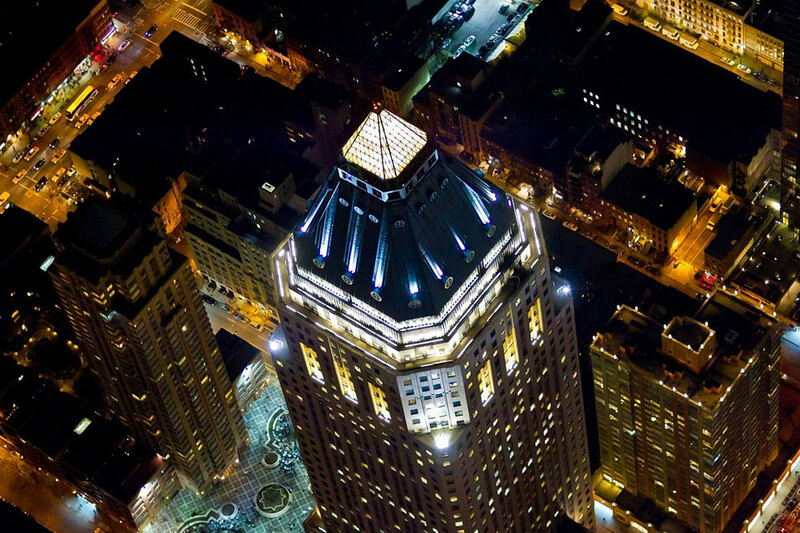 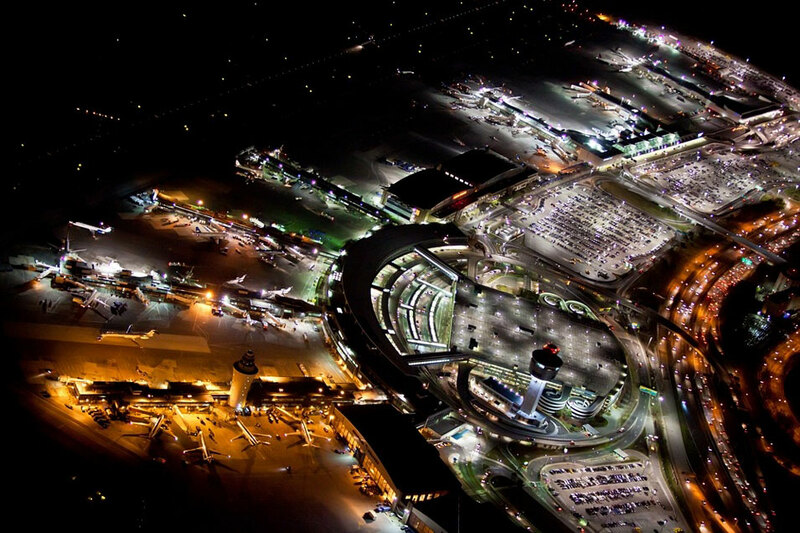 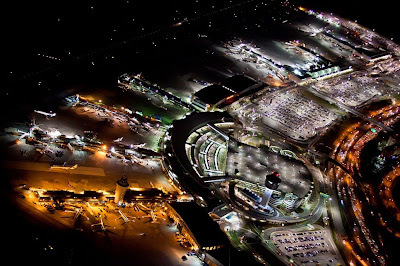 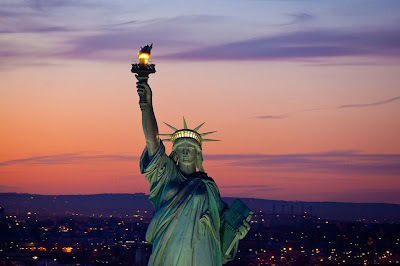 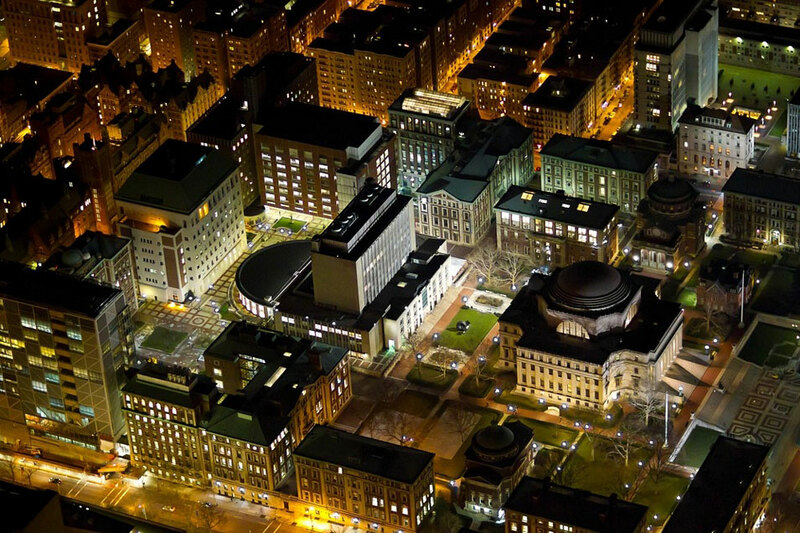 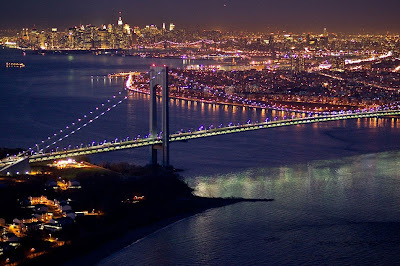 He released in October 2010 a book called New York City at Night, where he put together a collection of both aerial and street-level photos. 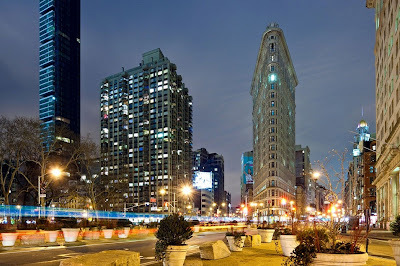 This book features photographs of New York City’s most famous landmarks, such as the Empire State Building and the Statue of Liberty, as well as little-known areas of Manhattan like the nightclubs of Greenwich Village. 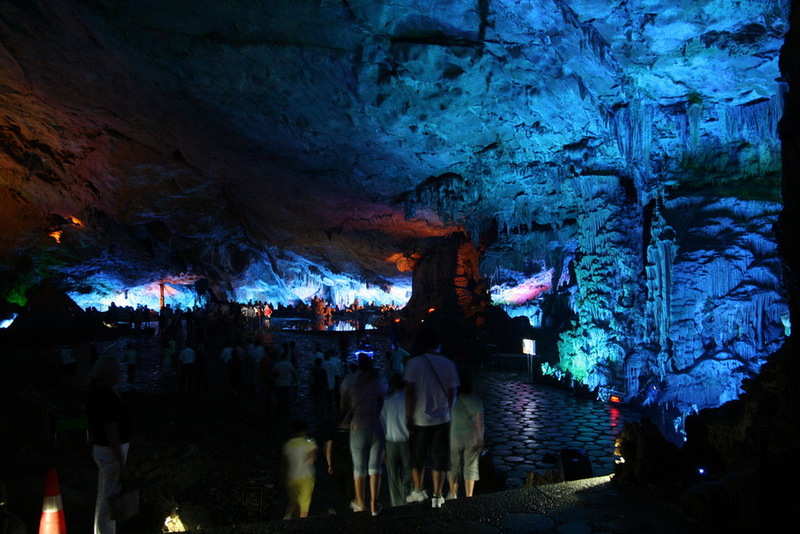 Tourists enter the cave and then take a U-shaped sight-seeing route to see different spots, whereupon they exit it from another cave quite near the entrance one. 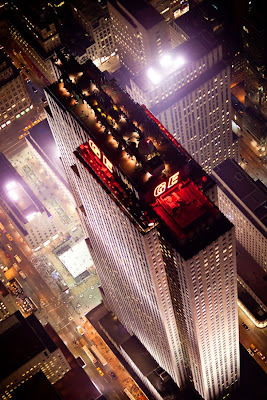 One trip lasts about one hour. 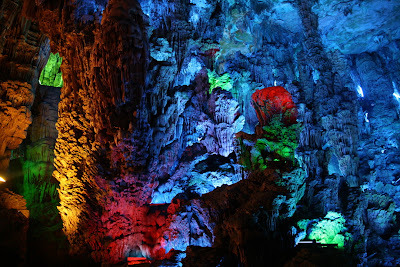 It is a Chinese habit to give each formation a legendary or poetic name such as Crystal Palace, Dragon Pagoda, Virgin Forest, Flower and Fruit Mountain and other interesting names. 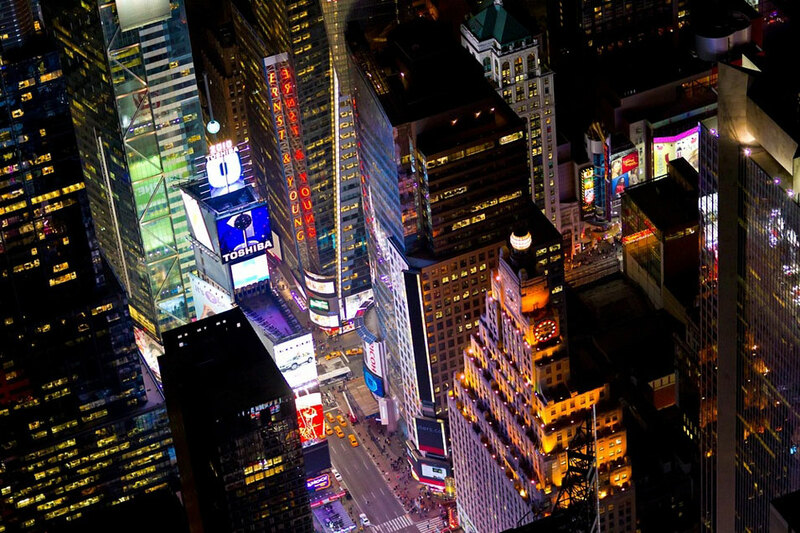 For some of these names, you need to use your imagination, but the story behind each is quite fun. 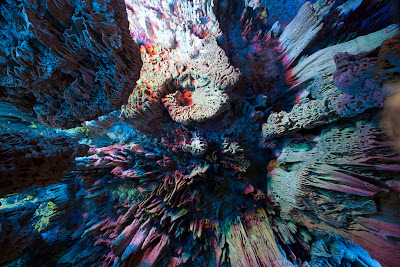 It's a pleasure to listen to romantic or fairy tales whilst appreciating the fantastic stone formations. 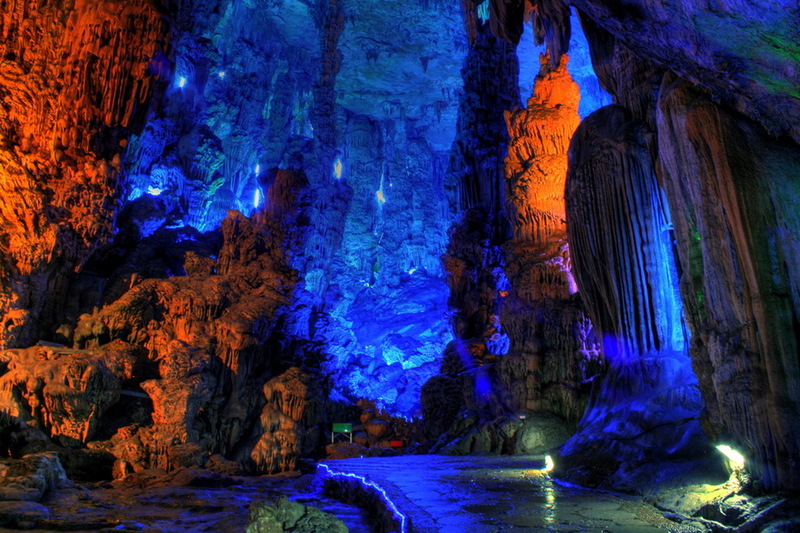 Both the stories and the lighting add mystery to the scene. 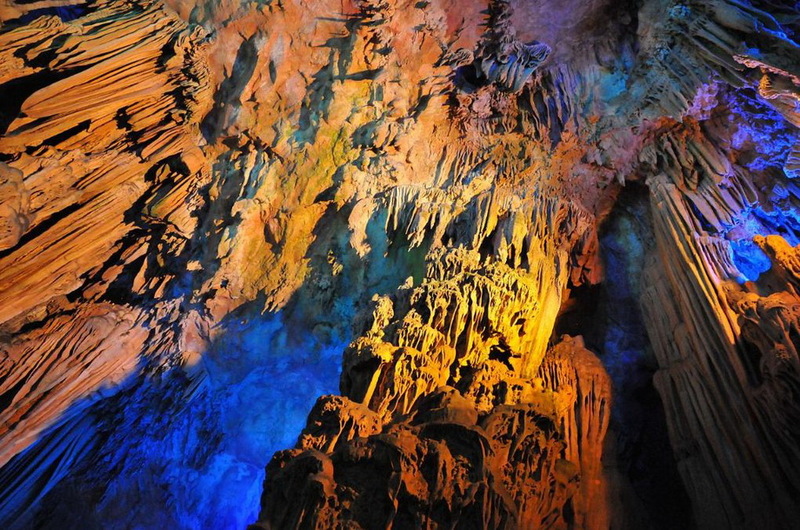 Although there are different kinds of lighting inside, you are not supposed to take photos unless you are a professional photographer, because the light inside is not sufficient for exposure. 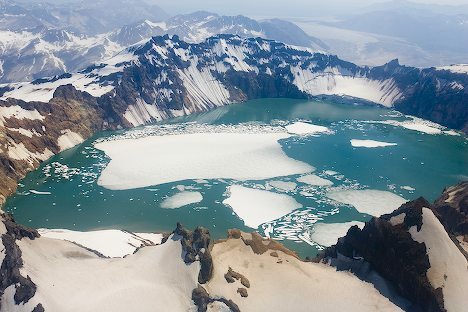 At some spots, such as the Crystal Palace or Flower and Fruit Mountain, special photography is offered at 20 yuan for one picture. 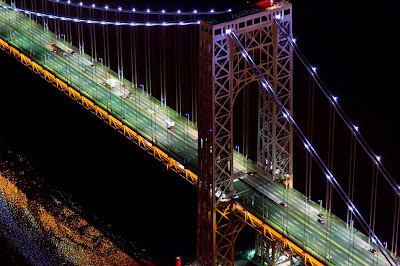 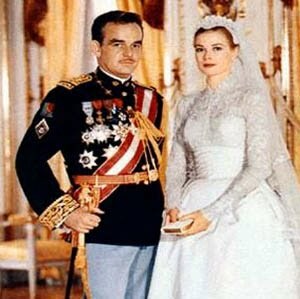 (They use special equipment to provide enough illumination.) 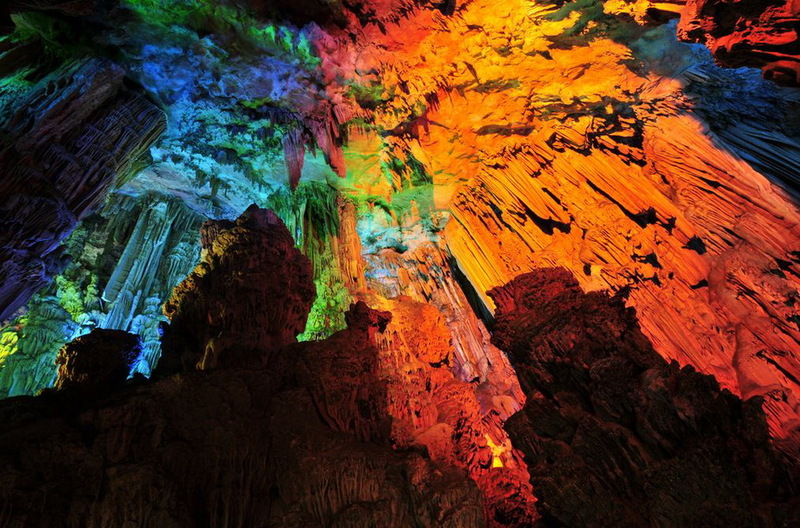 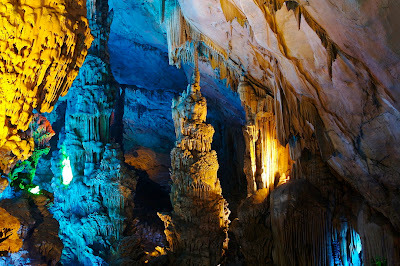 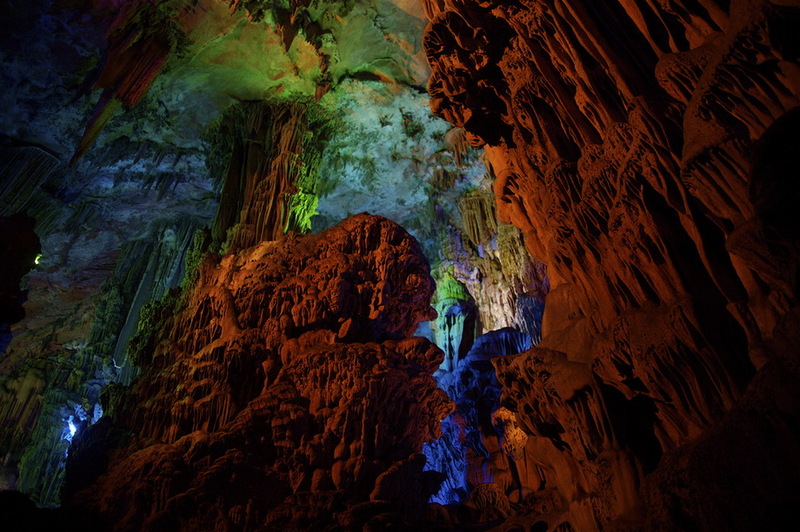 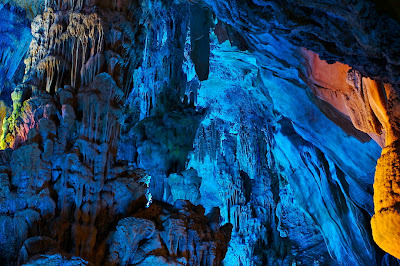 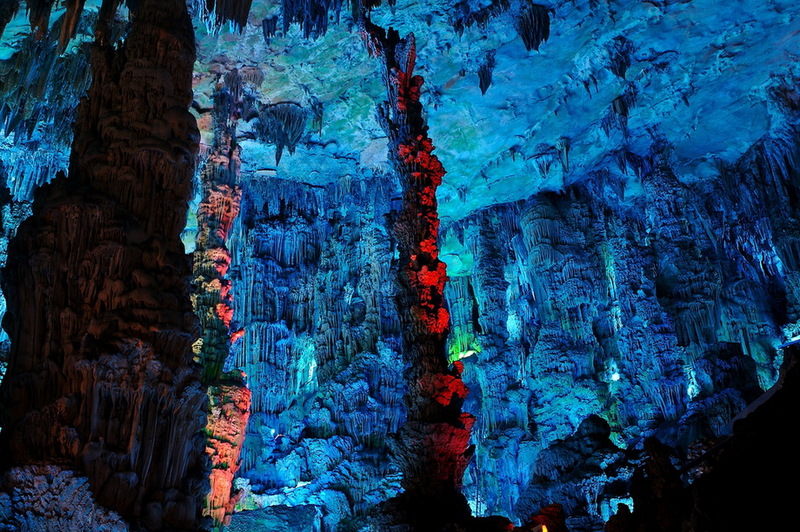 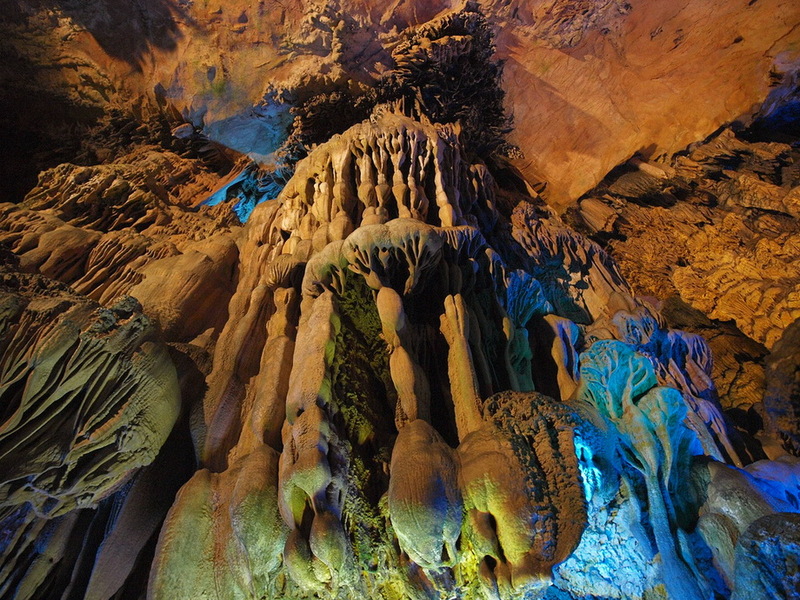 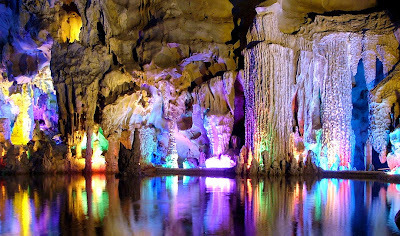 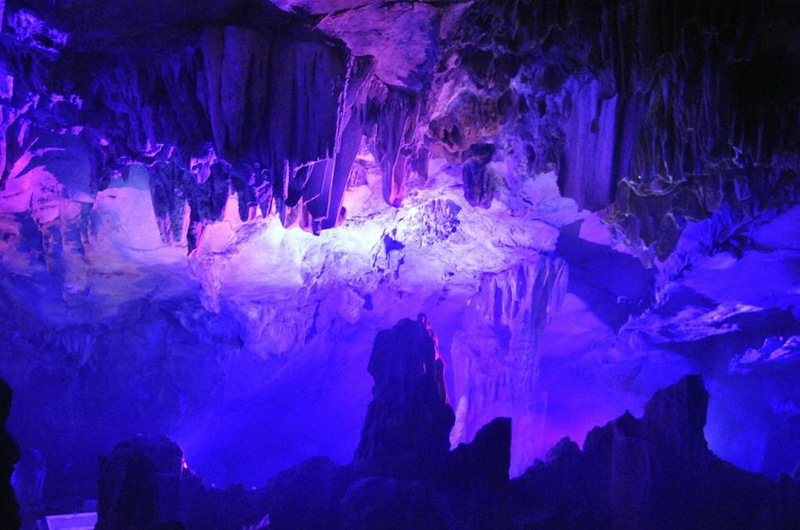 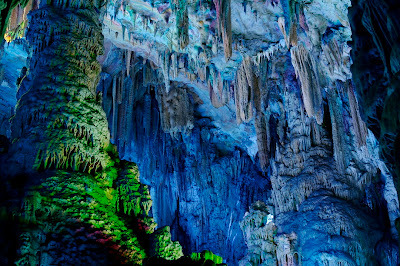 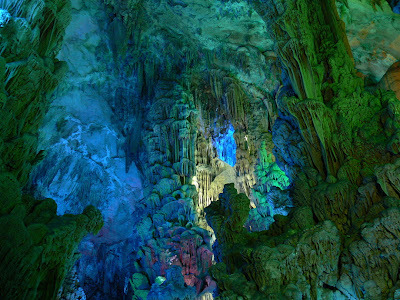 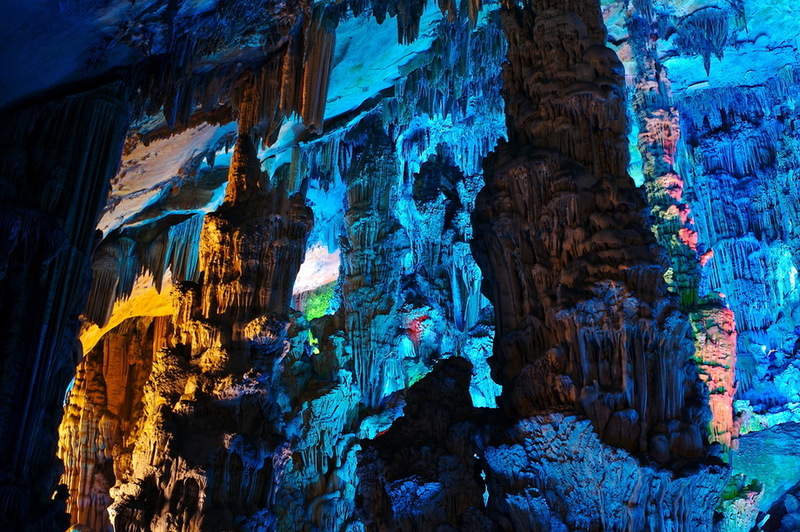 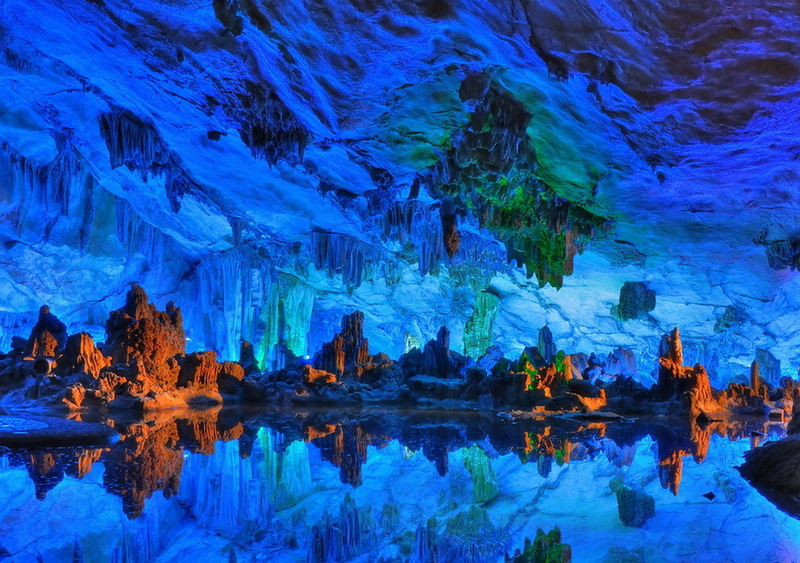 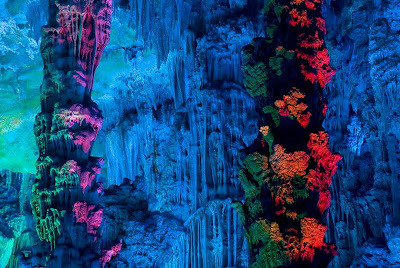 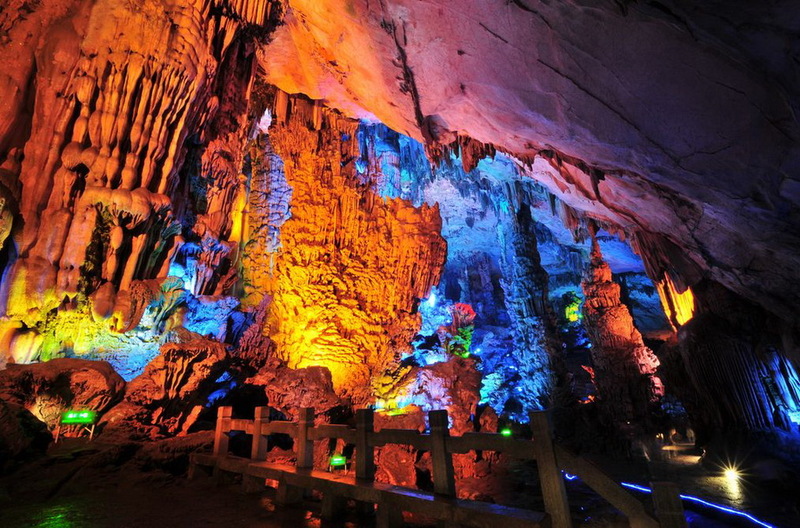 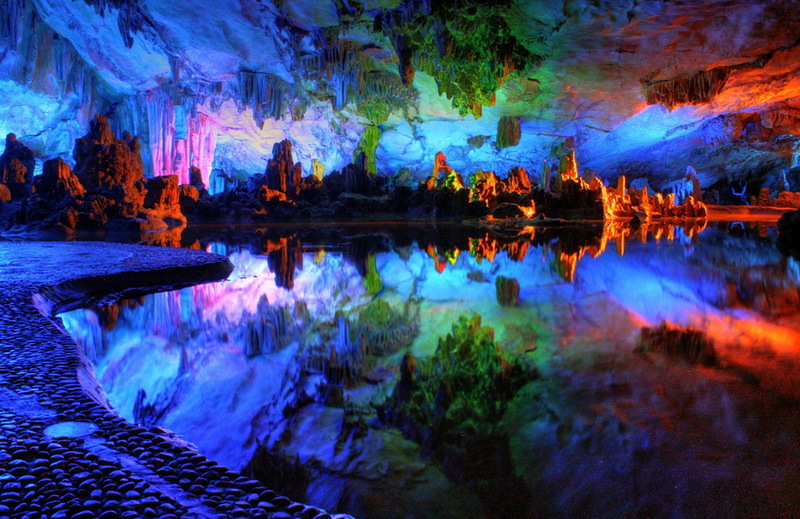 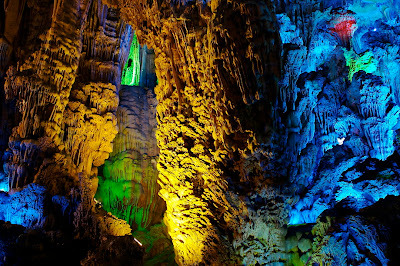 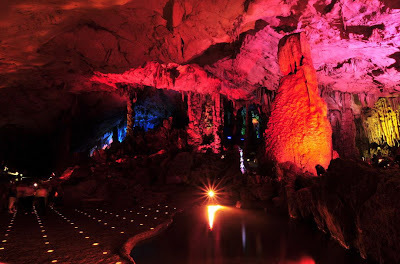 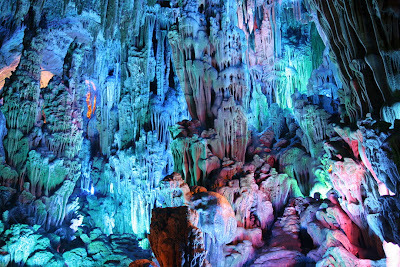 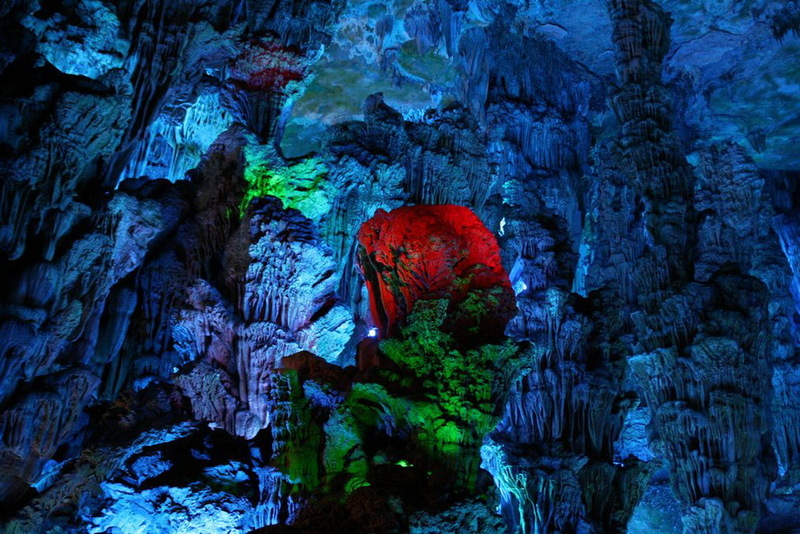 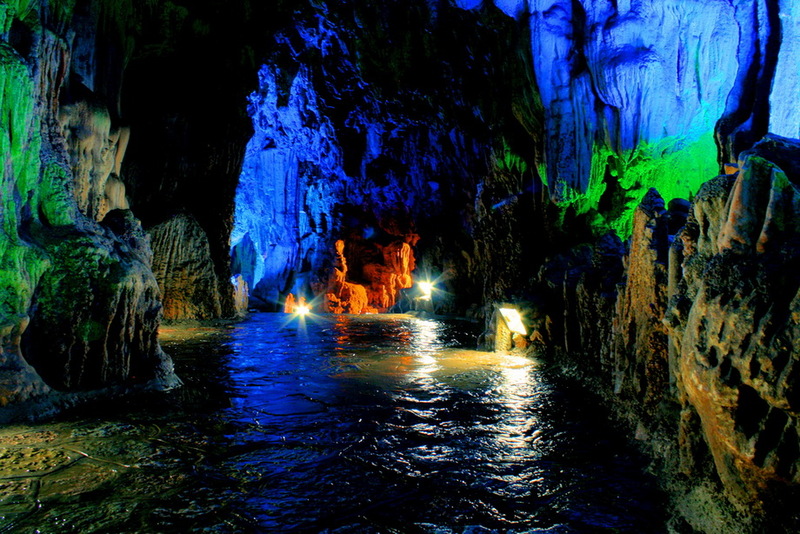 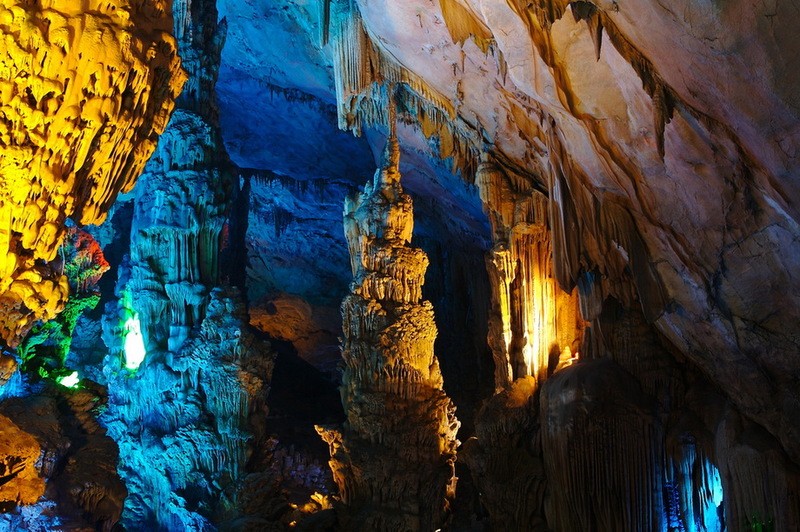 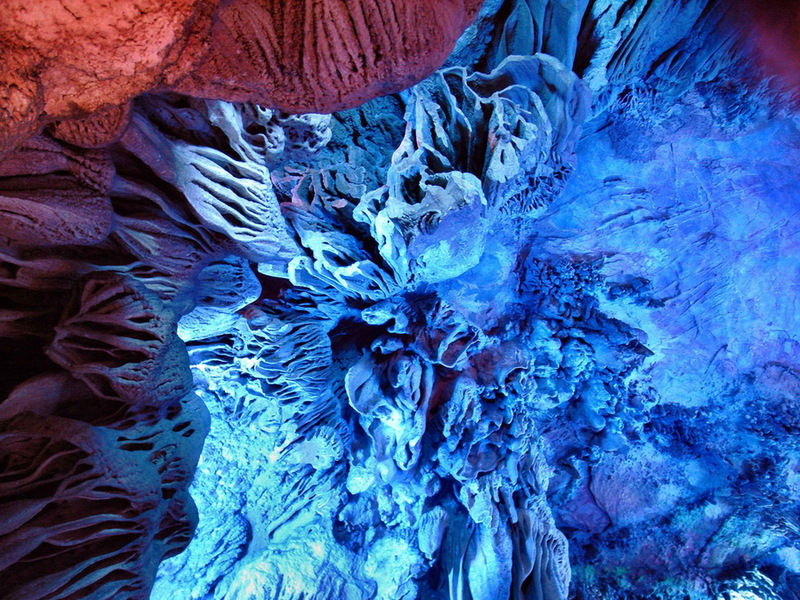 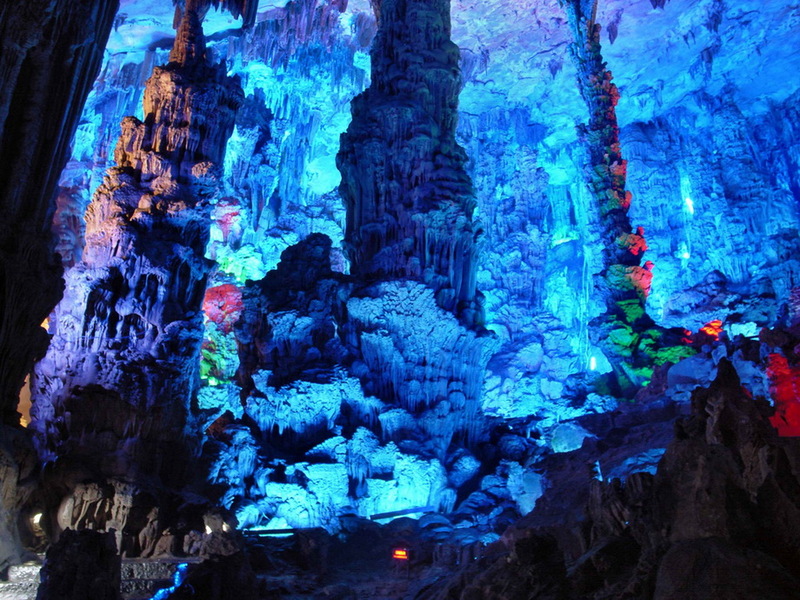 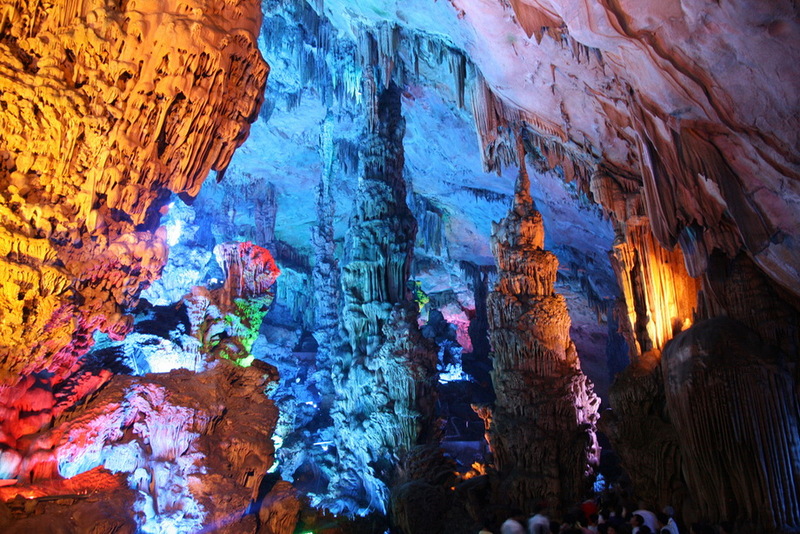 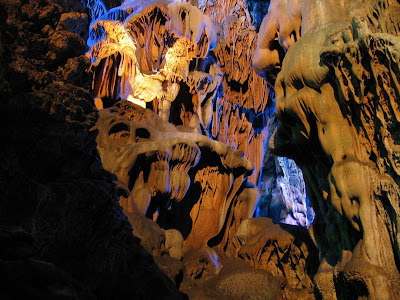 Some 70 inscriptions on the cave wall are said to be travelogues and poems derived from the Tang Dynasty, which made the cave a popular tourist site at that time. Travel Care: Get some reed flutes for friends and remember to bargain with the vendor for a better price.